In the past weeks, we have discussed most of the important factors that go into finding your perfect dress and creating the perfect look for your wedding day. Today, we’re going to discuss a topic that, unfortunately, is growing in popularity: Counterfeit bridal websites. What the Bridal experts have to say about counterfeit wedding gowns. Today, there are over 4,000+ counterfeit wedding gown websites, and the number increases every day. These websites are often from counterfeit companies overseas and they offer “designer” gowns at incredibly low prices. Bride in a lace & tulle ballroom gown sitting on steps. Of course we all know that weddings can get expensive. However, if you are going to cut corners on something choose anything but your wedding gown. Most of these counterfeit sites offer expensive and gorgeous gowns for majorly discounted prices. We’re talking $4,000 gowns being offered at $170. Now at first glance, that’s a steal! However, you’re not really saving any money this way. Once you receive this knock off gown, you quickly realize that your gown has obvious differences from the gown you thought you ordered. When you purchase a counterfeit gown and realize that it is in fact a counterfeit, your first instinct is to contact the seller. A common result with this is that brides will find that the website they purchased their gown from has been shut down. Or, when you go back to the website to find the seller’s contact information you will find that they don’t have a working phone number. Another common result is that the website states they have a no refund or return policy. Whichever response you get, you still end up out of money and time. Can I get the counterfeit dress fixed? Example of a counterfeit gown compared to a real designer dress. Can you tell the difference? The short answer is no. You can try taking your gown to a seamstress, but chances are they will turn you away due to the large task of having to make something out of nothing. Often the dress is made from inferior fabric, has structural problems and may be more than two sizes too small. The seamstresses that do accept the challenge may charge you a pretty penny, which may eat away at other parts of your wedding budget. How can counterfeit websites get away with this? A designer wedding dress vs. a counterfeit version. Google and other search engines are often paid by these websites to follow your online shopping patterns. After a while, you start to see pop-up ads advertising beautiful wedding gowns for up to 50% off the original price. Naturally, you click the ad because most of us like a good deal. You look at the pictures and reviews, which are usually positive, and because of the pictures, reviews you are led to believe it is a trustworthy side. Finally, you see the dress of your dreams offered for such a great deal that you click “buy” and receive the promise that the gown will be shipped to you directly. Sounds like a pretty good scam, right? Example of an authentic gown with a beaded bodice and a counterfeit version. The simple answer and solution to this problem is to actually shop at authorized retail bridal stores. That is truly the only way you can be assured that you are purchasing an authentic gown from the original designer. Again, we understand budgets here at Curvy Rose, if you’re looking to keep your gown cost low then we suggest starting in the clearance section. Although it is strongly suggested that brides actually go into a bridal salon to try gowns, we also understand that online shopping is a more comfortable option for many brides. If you choose to do most of your gown shopping online, we have a few suggestions for you, so you don’t fall for this trap. 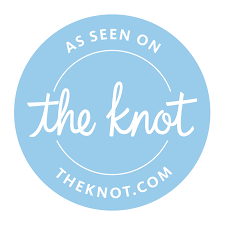 Make sure the website is an authorized bridal site. Designers we carry here at Curvy Rose, such as Sophia Tolli, only authorize their gowns to be sold through authorized bridal salon retailers across the country. Unauthorized websites often use stock photos of designer gowns, so if you see the same picture for the same gown pop up more than a few times, do some quick research on whether or not they are an authorized dealer. Misspellings and grammatical errors are always a dead give away. If the website allows you to return your dress but requires you send them a re-stocking fee, then they are definitely up to no good. Beware of Chinese websites; they are usually the unauthorized websites. We wish this wasn’t a topic we had to cover on our blog, but these days you have to be extra careful when shopping for your bridal gown. Hopefully we’ve answered enough of your questions about how to avoid falling for this trap. Remember, if the price seems too good to be true, it probably is. As always, Curvy Rose is here to assist in whatever you need, if you have more questions on how to avoid purchasing a counterfeit gown, feel free to contact us and we will be happy to help. Like we discussed in our previous post, there is a true art to shopping for veils and deciding whether or not there’s room for one in your wedding look! What we didn’t cover last time, was the process you go through afterward to make sure your wedding day look is flawless. Once you’ve figured out which veil style is perfect for you, you should also think about the type of fabric you want your veil to be made of. The fabric really does make all the difference between having a heavy veil that weighs on your hair, and having a light and manageable veil. Tulle, silk, lace, and satin are common fabric choices for veils; however, tulle is the most common and budget friendly option. Your hair is an important aspect of your wedding day. You want to make sure your veil works with you bridal hairdo, so showcase that! Whether you opt for simple curls, a chignon, a bohemian updo, or something more natural, you should consider whether your desired veil highlights your overall style. Your hairstyle may affect the placement of your veil and how it is able to be secured in your hair. Certain hairstyles, such as updos, will allow for the veil to be pinned above to create a more classic and voluminous style. Don’t forget to bring your veil with you to any trial hair appointments, so you and your hair stylist can work together to find the perfect look! Your accessories can either make or break the overall look of your gown and veil together. If you’re going for a more blinged out wedding complete with statement accessories, you need to be mindful of the balance between elegance and doing way too much. If you’re going for the princess look by opting for a crown, you should be aware that not all veil styles work with crowns, so feel free to try different looks with your dress. A bride getting her gorgeous headband perfectly placed before adding her veil. Just remember, volume doesn’t work well with extra drama. Tiaras don’t always mix with longer veils, but ornate headbands do! Mantillas look great with ornate combs or own its own. Blushers and birdcage styles can be embellished with unique accents like floral barrettes or feather clips. Just like your day-to-day wardrobe, your wedding accessories should all match your theme and fit together. You should consider how easy it is to put the veil on and take it off. This is much like the bustles article. Despite your best made plans you don’t know who is going to be there to help you take your veil off and/or put it back on. It’s best to go for a style that is easy to do yourself, if need be. This will save time, frustration, and future panic. Bride with a lace trimmed fingertip length veil. Like every other aspect of selecting your wedding look, choosing a veil requires a little bit of work, but finding the perfect one goes a long way in pulling together your bridal look. Whether you’re going for blinged out drama or an understated vibe, you’ll know when you’ve found the perfect hair accessory to balance with your veil and gown. Hopefully we’ve answered enough of your questions about veil styles here in this blog. As always, Curvy Rose is here to assist in whatever you need, if you have more questions on veil styles, feel free to contact us and we will be glad to help.